Swimming is an important skill and has been included as part of our national curriculum under the SwimSafer™ Programme. Staying active is the best way to help improve your child’s physical and mental well being, At the same time, help them to focus on daily activities better and study more efficiently. SwimSafer™ is a national water safety programme introduced by the National Water Safety Council (NWSC) in July 2010. NWSC is a council appointed by the then Ministry of Community, Youth and Sports (MCYS) to promote water safety for children in Singapore. Q: How old does my child have to be to be in this class? A: 5 years old and above. Q: If my child has water phobia, can my child join this group? A: Yes. 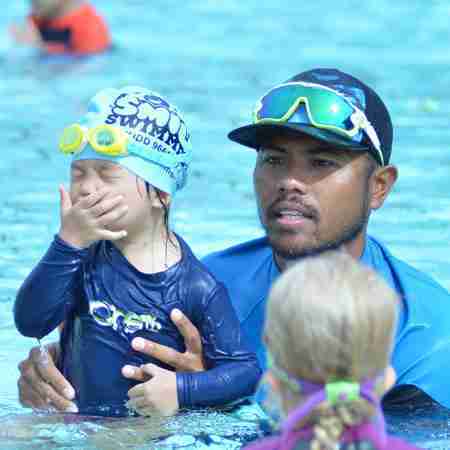 We have beginner, intermediate and advanced level kid classes to cater to the varying level of your childs ability to swim, so if your child needs to start from the basics, we will ensure that your child gets into the appropriate level. A: 45 minutes ber class with a maximum of 10 students. Q: Will my child get his/her certification after the term? A: Yes. After they meet the requirements, we will send your child for the test accordingly and if they are not ready we will let you know. Speak to Coach Kidd to find out more about how our kids swimming lessons can help your child.